It’s been a while since I posted a screenshot, so I figured that it was about time to do one again. 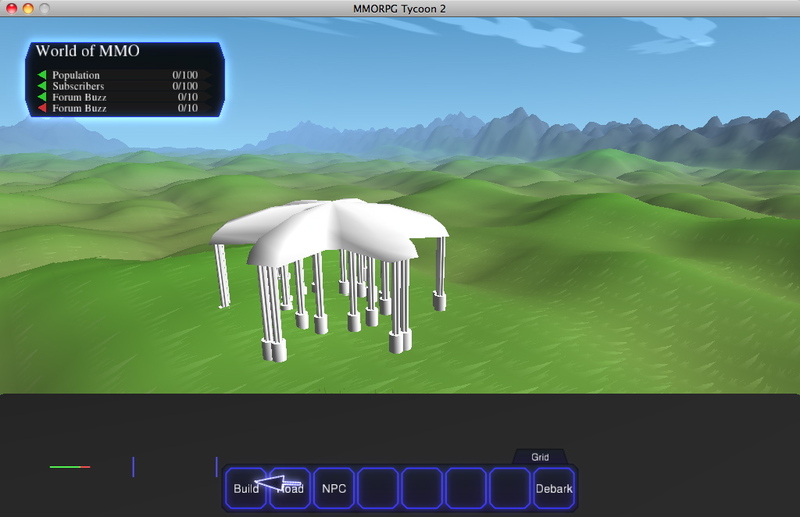 You all probably remember that gazebo-style “starting area” that I set up to test the procedural building generation code. Well, here’s that same pagoda building, except this time it’s not being built inside a square plot of land; instead, it’s being built inside a plot of land that’s shaped like a six-spoked gear. I’m rather pleased at how well it’s coped with the strange, concave shape! 31 January, 2010 in VectorStorm.